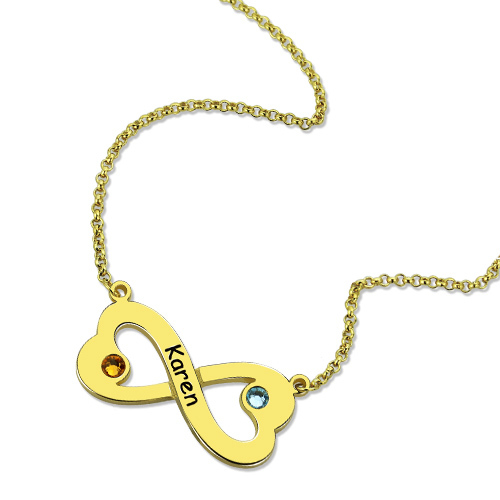 There is no better way to show off your infinite love for someone else than this Heart Infinity Necklace with Birthstones. 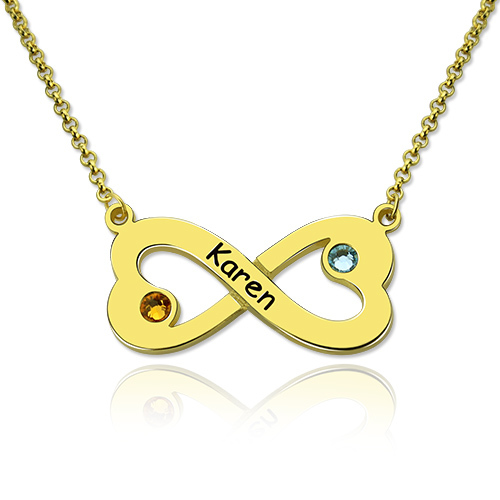 Each infinity heart is adorned with different color of cubic zirconia of your choice. 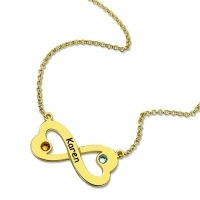 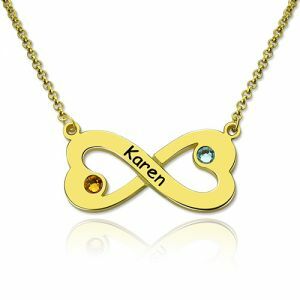 You will love the effortless way your name engraved on the infinity symbol to create a necklace you will love forever.